What you may want to know before becoming a WWOOFer. A London secretary invented WWOOF in 1971, when she and three friends volunteered on an organic farm in Sussex for a weekend. Now, as many as 75,000 WWOOFers a year venture to four dozen nations on six continents for a taste of authentic farming life. They work at least four hours per day in exchange for rustic room-and-board provided by their hosts. Keep these Do’s and Don’ts in mind if you want to have a stellar WWOOFing experience. DO: Establish criteria. What kind of experience are you looking for? Want to work with goats? Harvest grapes? Gather wild herbs for market? Learn how to build stone walls or cook the local cuisine? Use your goals to narrow the focus of your search. DO: Be realistic about your time. How long do you want to spend working on a farm versus traveling footloose? As a WWOOFer, you’ll have afternoons, evenings and weekends free, yet you’ll have to be ready to farm again by morning. But there’s flexibility, too. My wife and I worked a full day once so we could take the next day off to loll around at a backwoods hot spring. DO: Exercise due diligence. 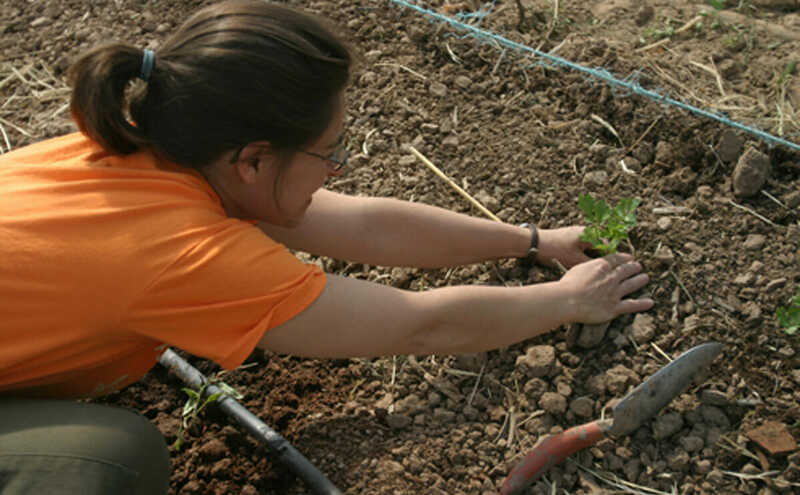 Choosing the right WWOOF farm is a bit like finding the right person on an Internet matchmaking site. Avoid committing to a “date” that disappoints by exchanging a few emails – and perhaps even scheduling a Skype session – to establish rapport and nail down mutual expectations. DO: Choose a meaningful location. You may want to find a farm that’s near hiking trails or close enough for day trips to important sites, or has easy access to a train station. You may choose one that employs a language you know or want to learn. We worked on a farm in Provence that was a 15-minute walk from the Mediterranean Sea, and another farm in gorgeous Tuscany (but distant from its “Chianti-shire” tourist zone). I know a schoolteacher who spends her summers WWOOFing in New England to get away from the sticky Deep South. Hate winter? January and February have summer weather in the southern hemisphere. DO: Be like the astronauts. Bring your own personal life-support system. Hosts generally provide Muck boots and tools, but you’ll want your own set of work clothes, rain gear, gloves, a hat and a bandana. Without a pocketknife, you’re not a full-fledged farm worker — or gardener, for that matter. So after flying to WWOOF farms in France and Italy, I’ve always picked up a locally made pocketknife. (I suggest the classic, French-made Opinel pocketknife.) Be sure your knives ride home in a checked bag so TSA won’t confiscate them from your carry-on. DON’T: Procrastinate. Start searching out a host farm early. They need time to make plans and so do you. Four to six months before departure is not too soon. Also, these farmers will be busy and many are not tech savvy, so some – perhaps your favorites – will be slow to respond. Allow time for some back and forth and keep checking for new hosts on the WWOOF site until you land a choice farm. DON’T: Be mysterious. Sell yourself. It’s a competitive market. Hosts generally favor WWOOFers who’ll give longer time commitments or who have a useful skill. Ever milked a cow? Have canning skills? Give a few details that will help you snag the right farm. My carpentry skills landed me a gig helping a farmer design and build a tractor shed out of scrap materials. We used tree trunks for posts and iron pipes for beams. We straightened a hundred bent nails to secure random planks and his tractor now has shelter from the rain. And I came home with a photo of myself standing on the shed roof. DON’T: Take chances. Even a small organic farm can have hazardous situations. The WWOOF organization provides insurance, but you don’t want to have to use it. You may be excited if asked to drive the tractor. But if it’s on a slope — where it can flip over — perhaps you should decline. Trust your gut; stick to activities that feel safe and arrive home in one piece. DON’T: Be a party-pooper. Plans change almost every day on a farm. In March, over email, the farmer may have said you’d be harvesting strawberries. But when you get there in May, it turns out the donkey barn is overdue for mucking out and your pitchforking skills are needed there. Allow yourself just a moment of disappointment, then take heart. The person who gets the crappiest job done generally earns everyone’s affection by sparing them the task. And you’ll have learned two important things about farming: 1) things need to be done, when they need to be done and 2) donkey manure doesn’t smell that bad after all. DON’T: Be a tourist. Granted, you’ll be enjoying an exotic locale, great views, good food and enchanting camaraderie, but you’re also volunteering to do dirty, physical work. Treat the time you’re “on duty” the same way you’d treat your job at home. You’ll learn a lot and gain the respect of your hosts – and perhaps their friendship, too. And once you get home, you’ll be the one with the best dinner party stories.